With the rate of the Tax on Goods and Services (GST) on the construction of the metro and the monorail going down to 12 percent from 18 percent, EPC (engineering-procurement-construction) contractors in space would benefit provided their contracts they will be tendered taking into account the fiscal component. Essentially, if the EPC contractor had submitted an offer for the metro or monorail construction contract on the base price without taxes, then the decrease in the GST slab would prove to be an advantage for the company since the overall cost would decrease. However, if the contract was tendered, including the tax component, the final cost would remain unchanged. According to experts, some of the contractors who were under stress due to higher costs would get some relief. “This is a positive step in many aspects for the industry, first, the Capex for projects will be reduced, and second, there will be a significant reduction in working capital, since less funds will be blocked in the advance payment of taxes and Finally, book reconciliation will improve among interested parties, such as the project agency, contractors and subcontractors or suppliers.” (The statement said by SN Subrahmanyan) executive director and general manager of Larsen & Toubro. Larsen and Toubro are building Rs 160 billion metro rail project. The first phase of the 72 km project was inaugurated in November. The GST Council, led by Union Finance Minister Arun Jaitley, has recommended cutting GST rates for 83 goods and services that cover many sectors and commodities. The council reduced the GST rate in the construction of metro and monorail projects (construction, assembly, commissioning or installation of original works) from 18 to 12 percent. Companies such as Reliance Infrastructure, Larsen and Toubro, NCC Infra, Simplex Infrastructures, JMC The projects, TPL-CHEC (a joint venture between Tata Projects and China Harbor Engineering Company) and J Kumar based infra-projects in Mumbai are actors in the sector . ICRA, in a recent report, said that the metro rail sector has seen strong traction in recent years and is expected to provide considerable opportunities for construction companies over the next three to five years due to a strong portfolio of projects that they are in the approval and planning stage. Currently, the central government encourages cities with more than 2 million people to develop mass transit systems Bombardier is carrying out several metro projects such as the Delhi Metro, Bengaluru Metro Phase II, Mumbai Metro Phase III , Vizag Metro and light rail for the cities of Kerala. 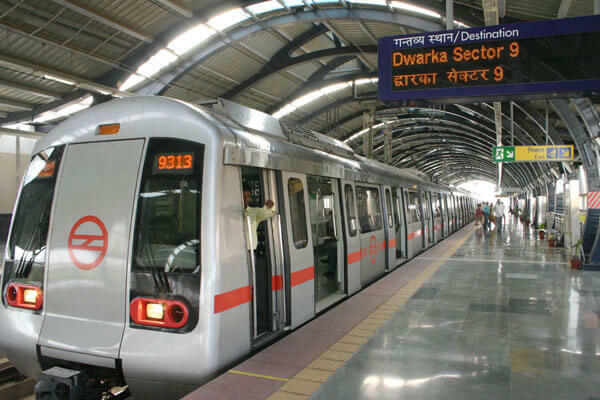 Cities such as Kolkata, Chennai, Delhi, Bangalore, Gurgaon, Mumbai and Jaipur already have subway systems. But with almost 50 cities and towns online for modern metro systems, the Tier II cities are ready to witness the next big wave. What will be rte applicable to the subcontractor of the main contractor?